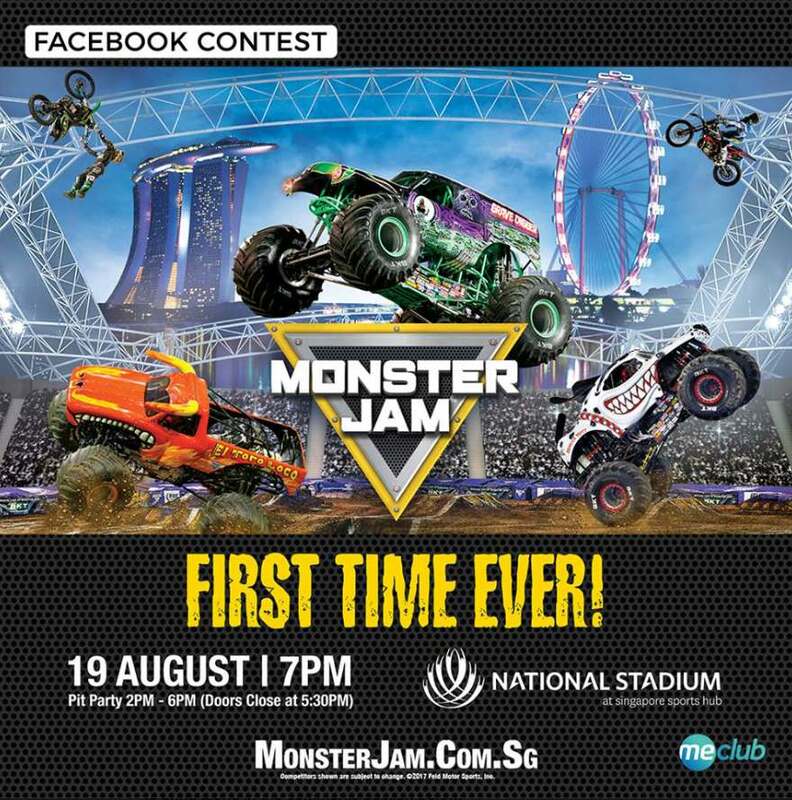 WIN a pair of Category One tickets to Monster Jam, that is happening on Saturday, 19 August 2017, 7:00PM at the National Stadium, Singapore! Celebrating 25 years of adrenaline-charged family entertainment, Monster Jam®, the most action-packed live event on four wheels combines spontaneous entertainment with the ultimate off-road, motorsport competition. Here, be thrilled with jaw-dropping displays of gravity-defying feats! Monster Jam features the most recognisable trucks in the world including Grave Digger®, Max-DTM, El Toro Loco®, Monster Mutt® Dalmatian, Scooby Doo and many more! And we have 20 pairs up for grabs! To win, simply like MeClub’s Facebook page, name one of the trucks that’ll be performing, and tag a friend you’d like to bring along in the comments section below. This contest ends Tuesday, 25 July 2017, 12:00PM. Terms and conditions apply.